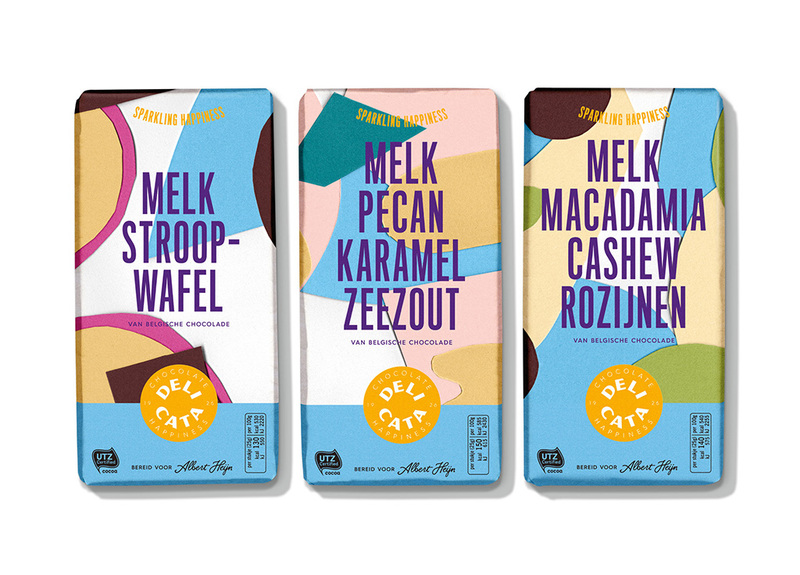 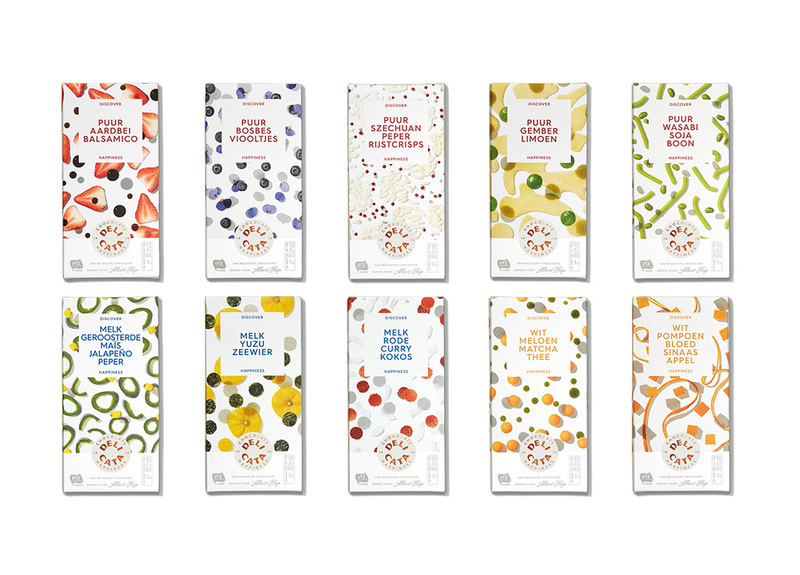 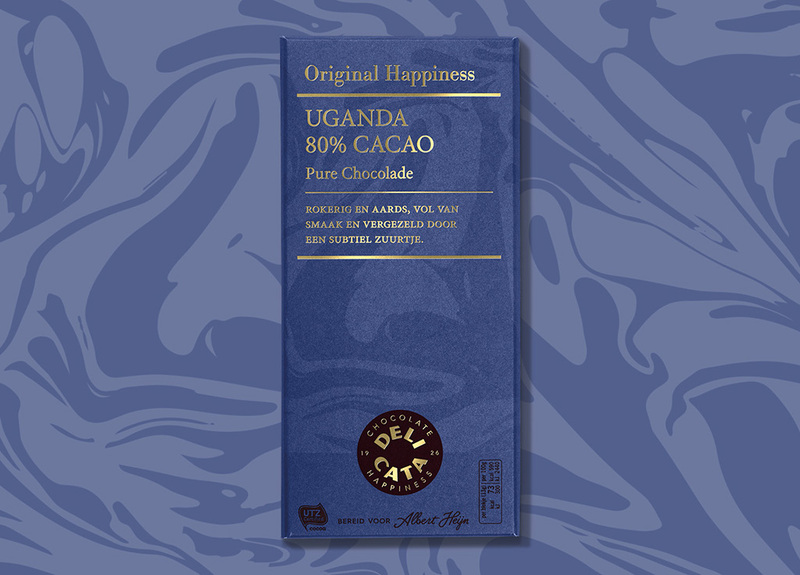 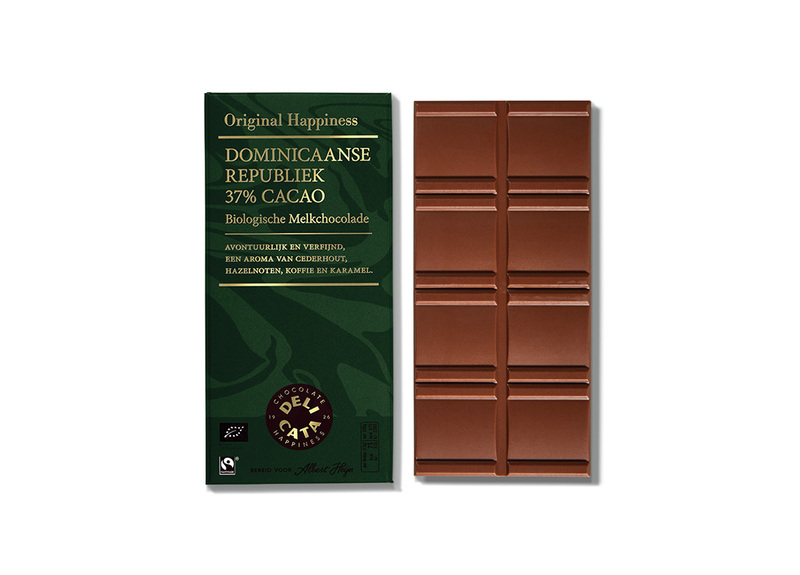 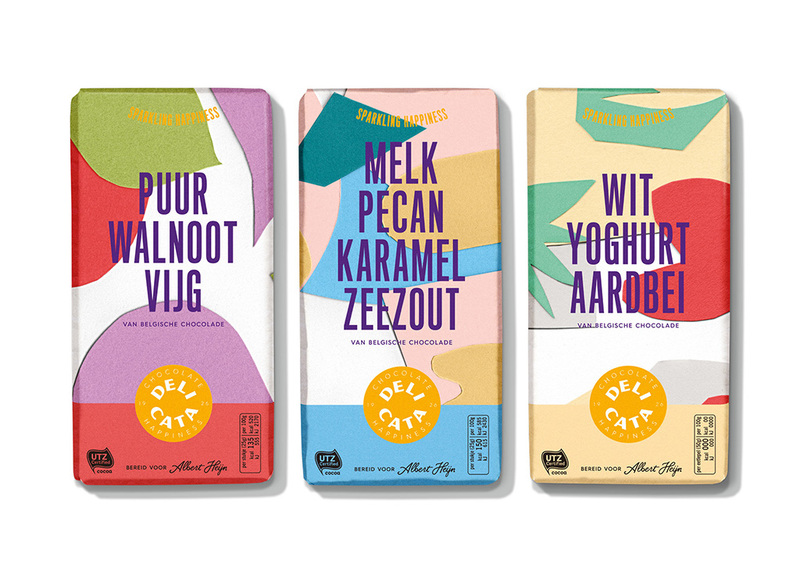 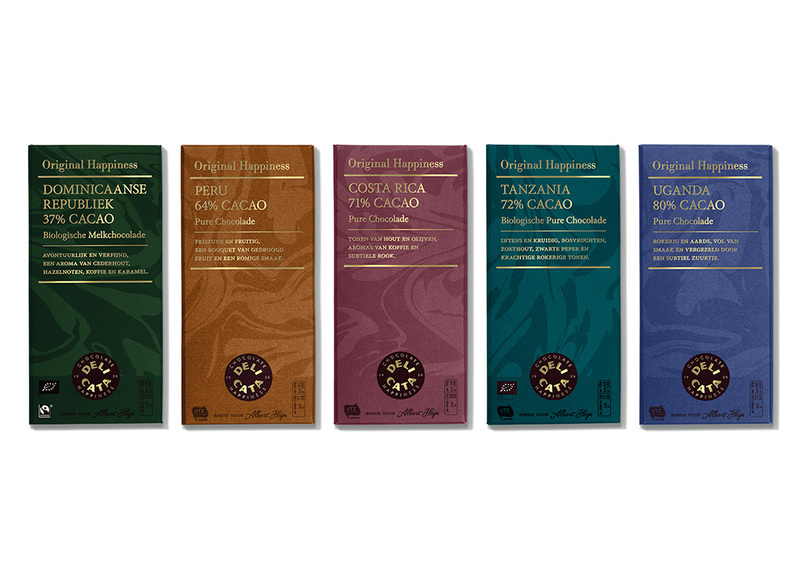 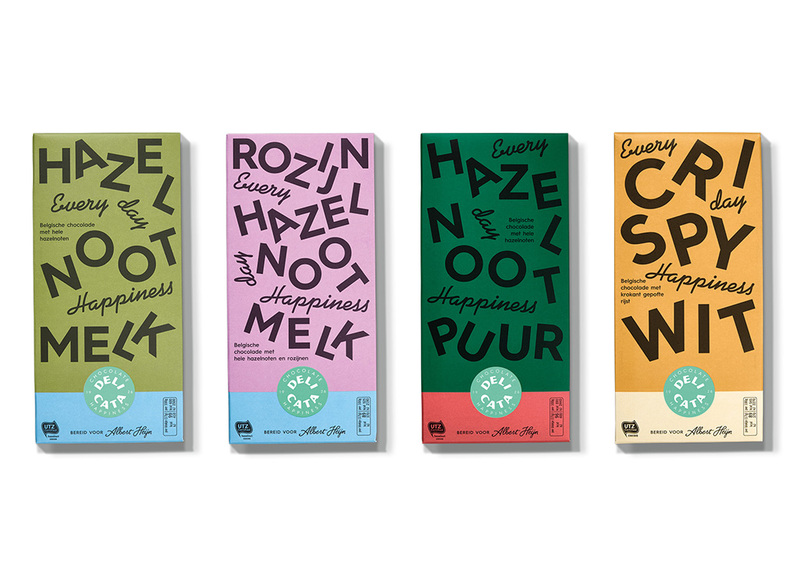 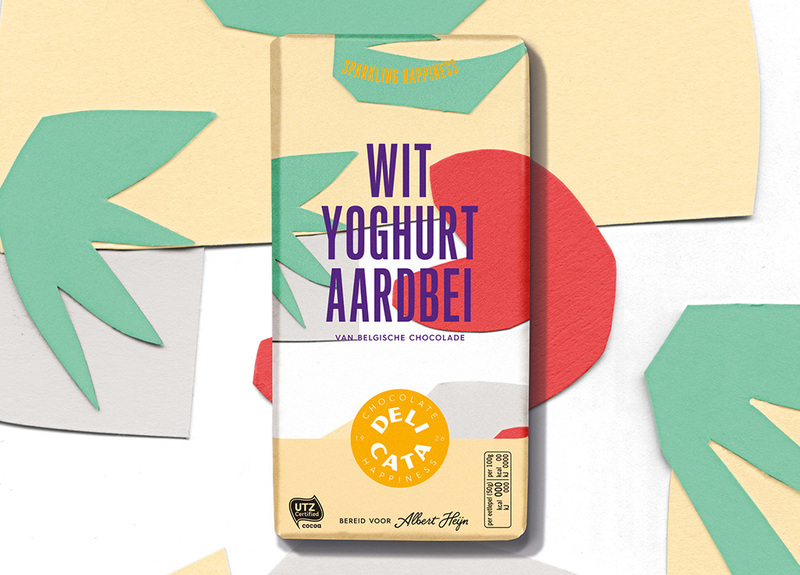 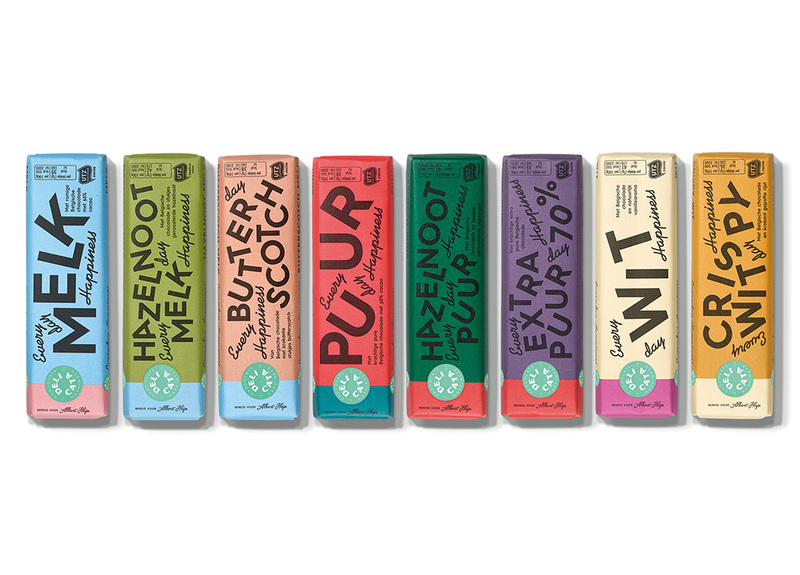 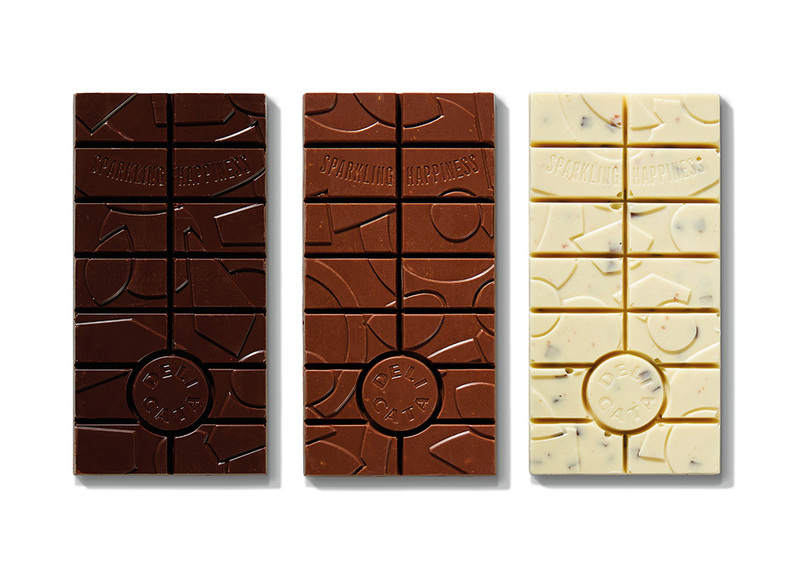 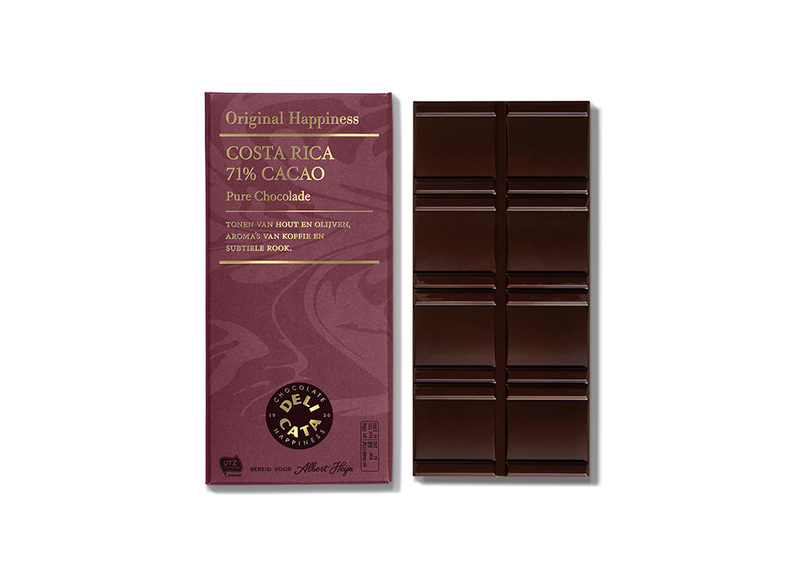 Delicata chocolate has completely been renewed with new tastes, branding and positioning. 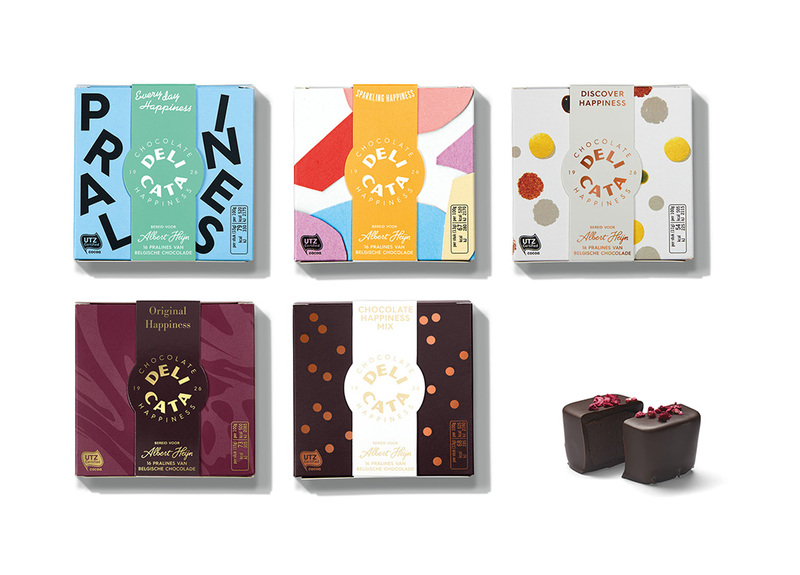 An extensive range of over 30 flavors divided into four collections, from traditional to experimental, from exuberant to subdued. 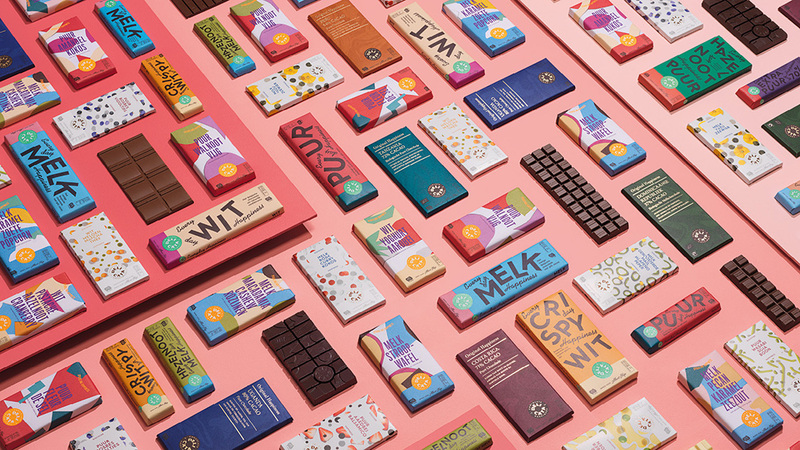 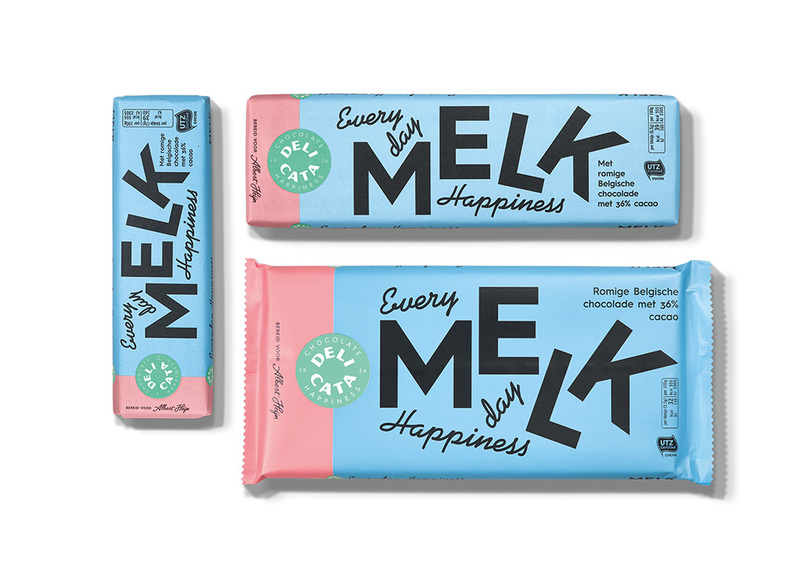 Thanks to a unique design, each collection has its own personality and warm vibe: Everyday Happiness, with its pronounced typographic design, is cheeky and approachable. 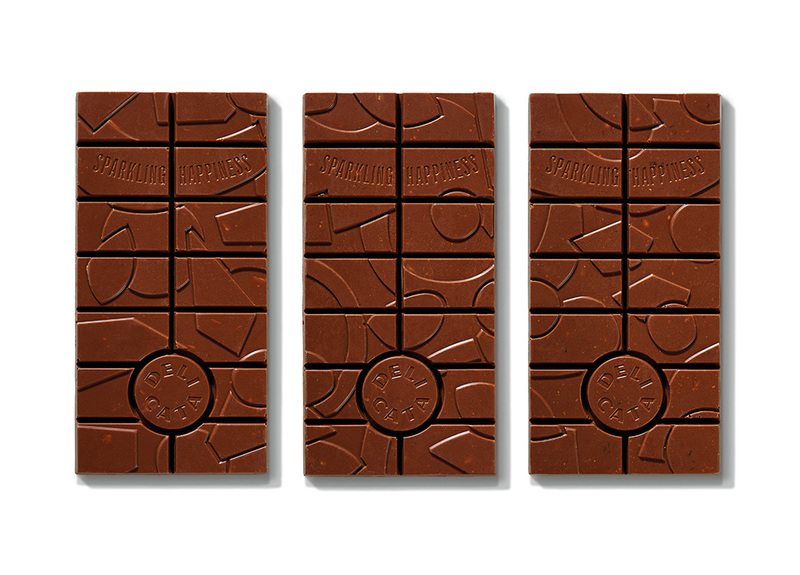 For sparkling Happiness, celebratory Miro-like paper-cut compositions have been created and photographed. 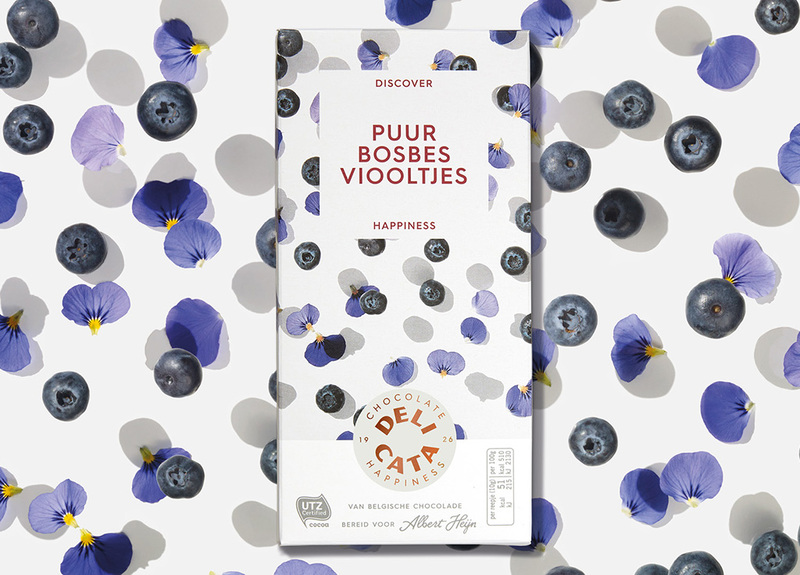 Discover Happiness is fresh and artistic with layered patterns of photographed ingredients (by Bart Oomes). 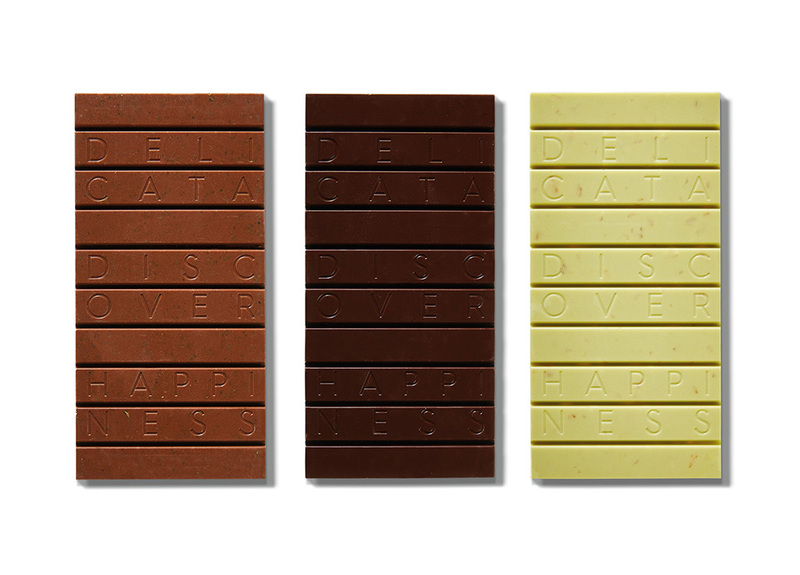 And Original Happiness with its marbled structures in evocative hues has a serene touch. 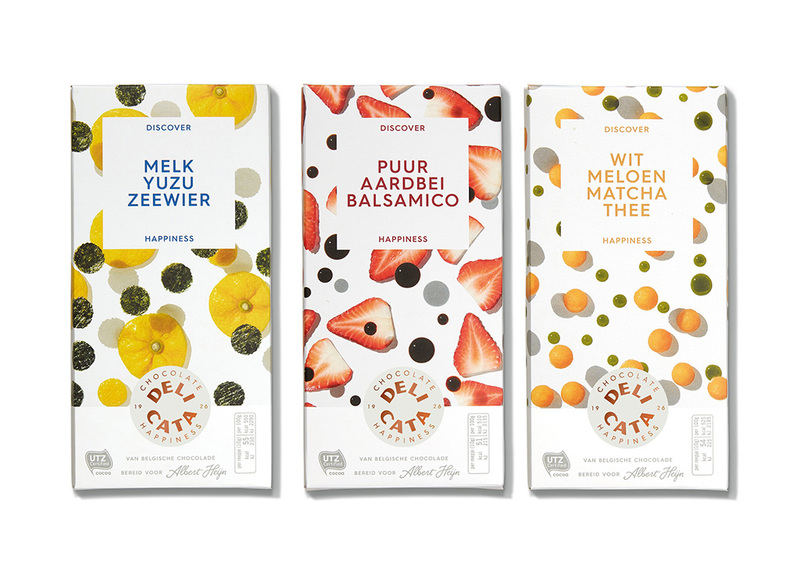 Through consistent branding and an overall range of colors Delicata has, despite the four different characters, still remained one brand.